I like our newish suburban home. I can’t believe we have lived here a year already. It has plenty of room, a good lay out and a covered back porch. The home doesn’t have structural issues or maintenance problems. I should be happy, right? Even with everything that the house has going for it, I don’t love the house. It is missing character. Soul. Uniqueness. We are slowly working to add the touches to the house that make it feel unique. More like home. 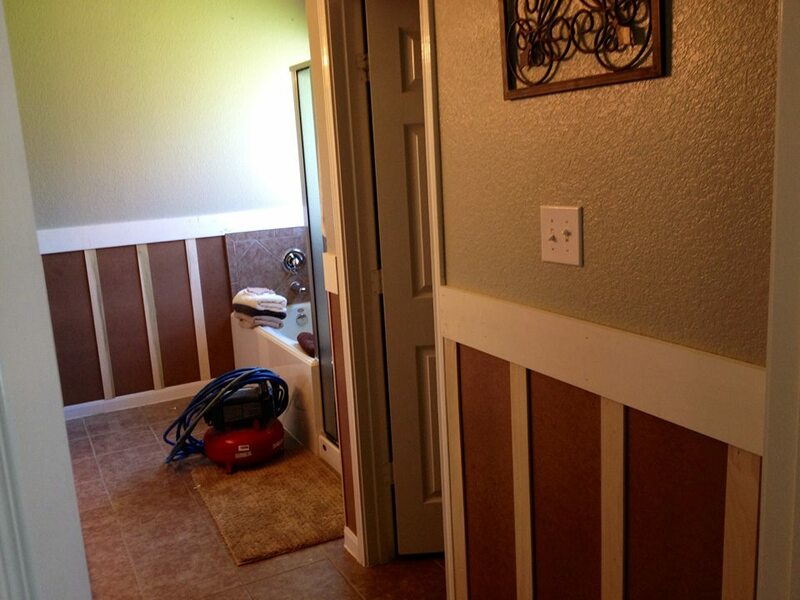 Right now the focus is on the master bathroom. It is the most dysfunctional space in the house at this time. You can read all about it HERE. There is not enough storage, the counter is too low and it is BORING! Project number one is to add board and batten walls. 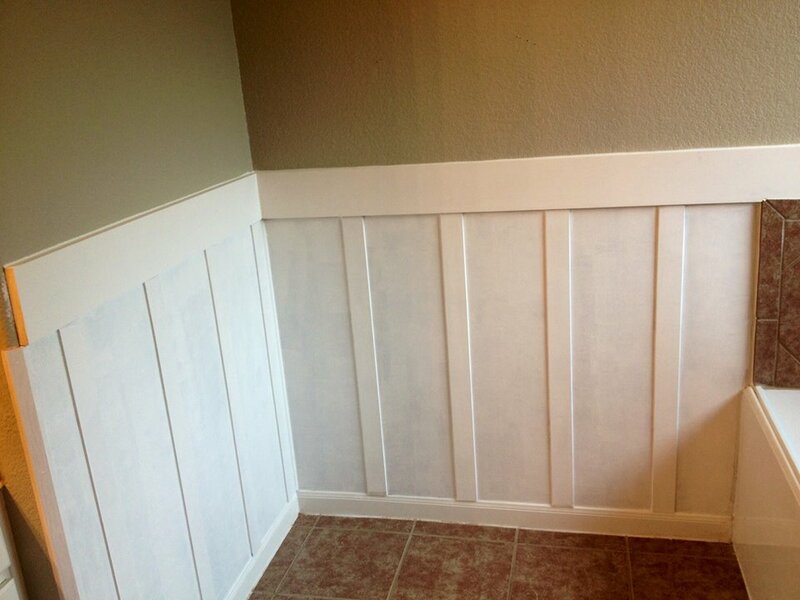 I read on one of the blogs I regularly read that board an batten is over done right now but I love the look and it adds texture to the walls. 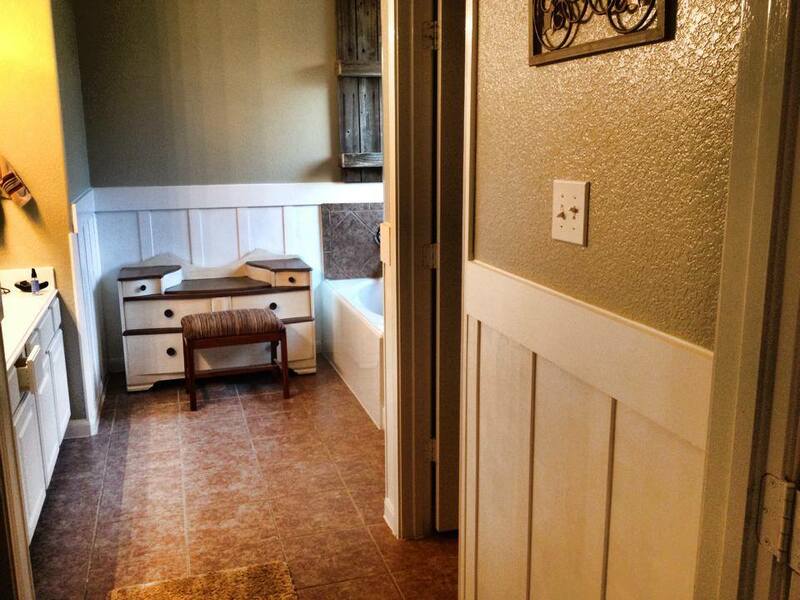 It isn’t necessarily unique, innovative, or show stopping, but I think the bathroom will look like it has been around a while and it won’t look like the other 80 homes in our master planned neighborhood that have the same floor plan we do. Hubby got most of the walls up in a couple of days and he actually told me I needed to write a blog post with tips for adding board and batten to a new home with orange peel texture walls and rounded corners. I am pretty impressed with his ideas to solve the issues. I am shocked that he suggested I write a blog post! We are not going to finish the wall until the vanity comes out in preparation for the new vanity to go in. 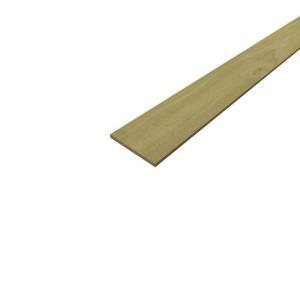 Buy pre-cut poplar in three inch width by quarter inch thickness. They come in four foot lengths at Home Depot. That was perfect for our walls. 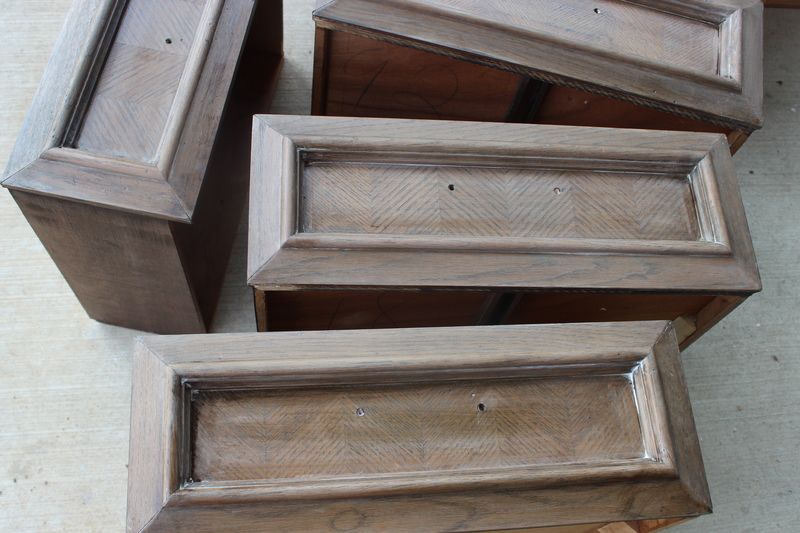 The wood is uniform, and easy to paint. You can have hard board ripped bu Mr. Math ( Hubby) was concerned that they may not be true and straight so they would look off. 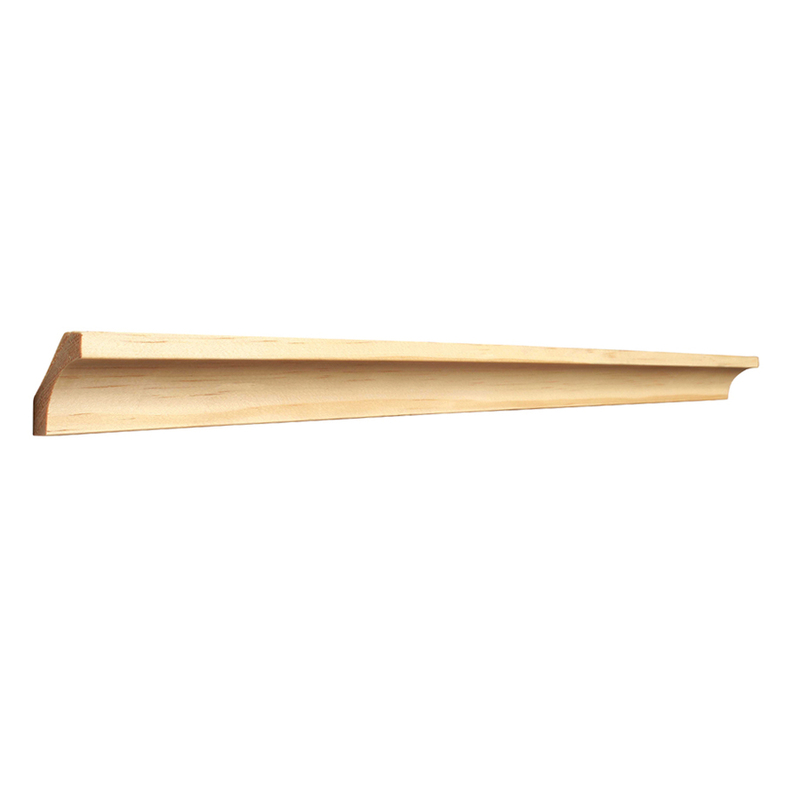 Use quarter inch press board that comes in four foot by eight foot sheets to smooth out the texture of the wall. Under the hardboard the texture is still in tact in case the next owner wants it returned to normal (boring). 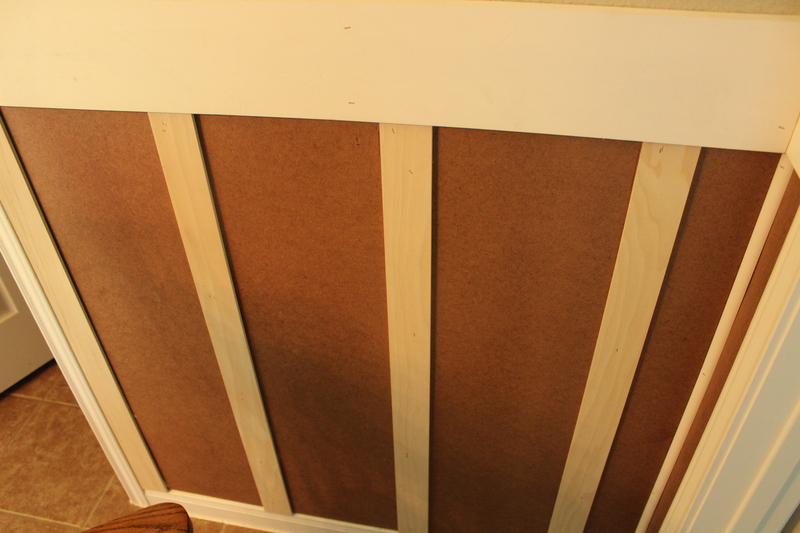 Below is the hardboard and the primed top board on the wall. 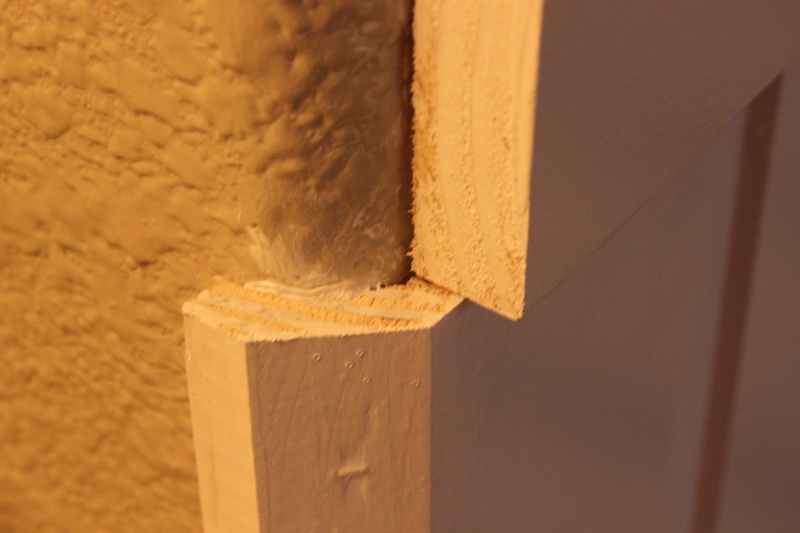 To solve the rounded edge problem, use inside cove moulding turned over. The cove part fits perfectly on the rounded corner. Buy primed 1 X 6 for top. 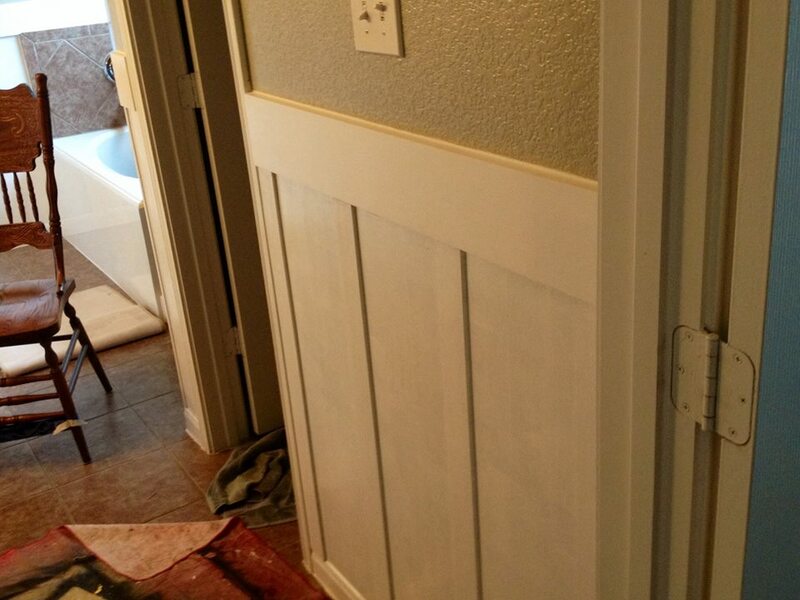 The primed wood has less knots and blemishes so the top board that is most visible is in great shape. Caulk every edge. Use your finger and a spoon to clean it up. If you want your job to look professional, take the time to do it right. Use paintable caulk so it is hidden under the paint job. Prime everything. 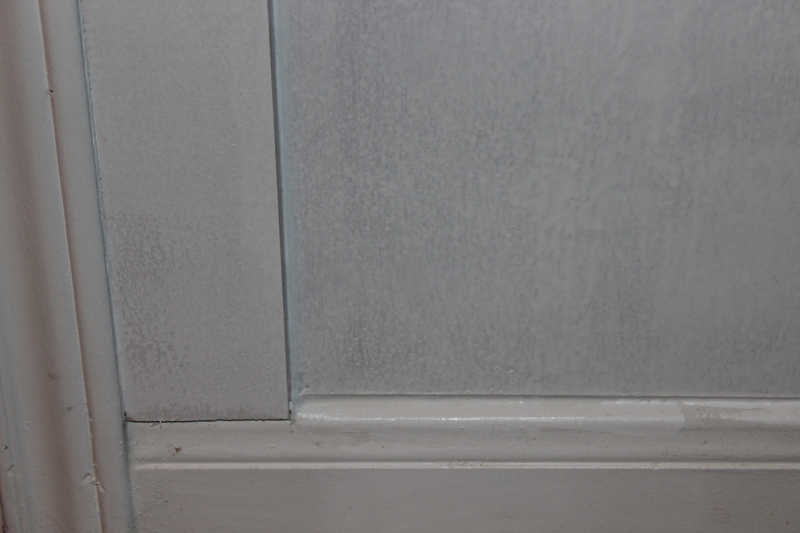 If you want a smooth even finish, it has to be primed. Believe me, I wish paint with primer eliminated that step. It doesn’t. Love that compressor and air nailer. It speeds up the process so much! I am really liking this look and can’t wait to get it all done! 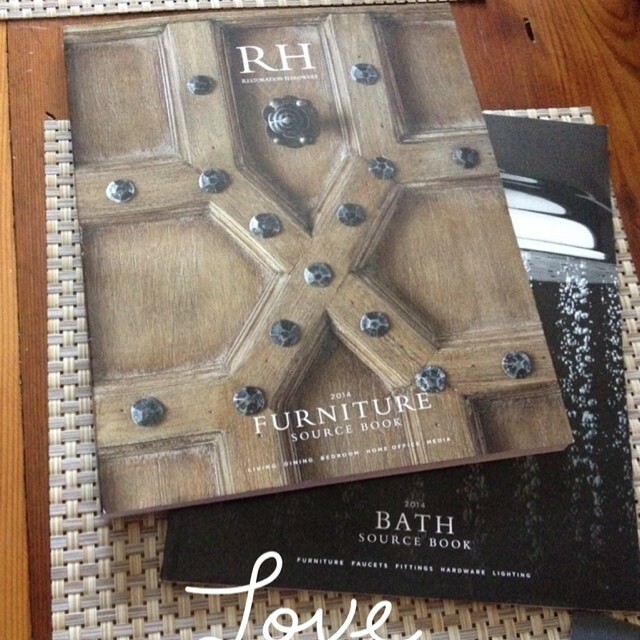 Next will be the dresser I am painting to look like a Restoration Hardware piece. It is almost done. I know … I have been saying that for a while. There will be tutorial for the steps I used to get this finish, and save over a thousand dollars on the vanity. Possibly you can avoid stripping your dresser down twice like I have had to do. Perfect match to the RH look. Love it, Karen! Thanks for taking the time to explain the process. I’m an egar student! I found your site on Remodaholic. THANK YOU for the tip on board and batten on orange peel AND rounded corners. That’s been our dilemma. 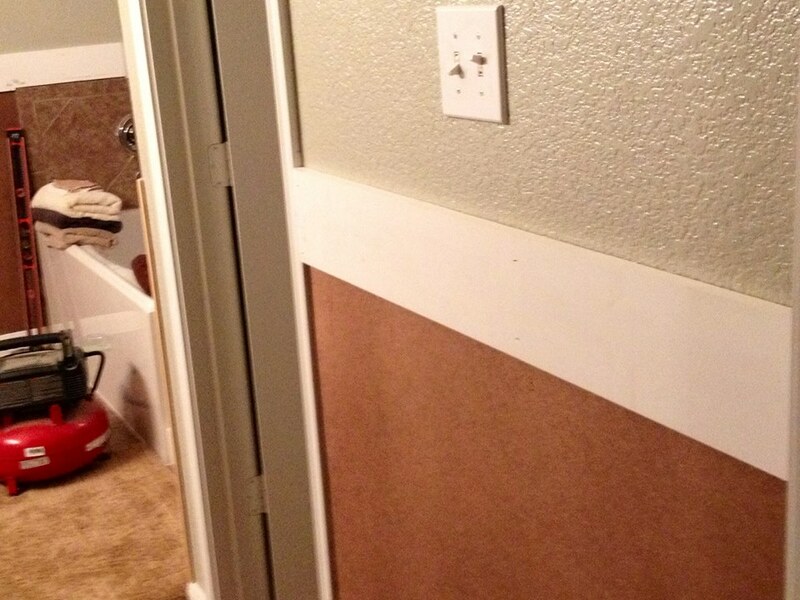 We want to frame out a doorway, and this will work perfectly. Thank you! I am so pleased with how our wall came out. Glad I could help.